PC or mobile? The question could come up: Which apps do you use to run your computing tasks? As the trend in the app market aggressively moves toward mobile, with statistics showing that in the popular mobile app stores (think Apple’s App Store and Google’s Play Store), an estimated 5.1 million apps were available for download; it would seem that for every pc application, as long as there is a smartphone with the capacity to run the equivalent, there is a mobile option. From games, social media apps, to office tools, productivity apps and even bells, the mobile app stores boast a wide array to please the smartphone enthusiast. Sometime back, if you haven’t visited the page, we gave you a list of the top video editing apps in 2017 you should download. If you are looking for the best photo editing apps which would add the right tone to your images, you want to be certain that your photos won’t look cheap as you look to retain your bragging rights on the photo-sharing sites; you can’t go wrong with the selection below. Developed by the makers of the popular webcam software CyberLinkYoucam, PhotoDirector has admirable features which bring out the desired effect from your pictures. PhotoDirector provides you the platform to quickly edit your pictures while still achieving that sound, smart, appealing, desirable, professional and quality effect. One of the best photo editing apps that is easy to learn and gets the job done very quickly.You can also add a song download to enhance the final effect of your photos. Adjust saturation effect to enhance the vividness of images. Custom editing of all or different regions on your images. Achieve brightness or darkness on images with the easily adjustable tone. Availability of advanced editing tools when pictures are taken with the in-app camera feature. Assemble favorite photos to create a collage with the collage maker. PhotoDirector Photo Editor is available for both iOS and Android operating systems. In an earlier post, we visited the versatility and simplicity of Snapseed. Google’s signature app in the professional mobile photo editing arena, Snapseed has been acknowledged as probably the best photo editing app one can get – at the price of free. Updated September this year, Snapseed has a new, clean, unencumbered, easy-to-use user interface, which might take getting used to, if you are already familiar with the earlier version. An array of tools and filters like White Balance, Brush, Structure, HDR, Glamour Glow, Perspective etc. to select from. 11 beautiful preset palettes to provide a new and predefined outlook. Duplicate earlier modifications to new photos. Snapseed is available for both iOS and Android. As the name implies, AirBrush Easy Photo Editor was designed to provide ease and speed in editing your photos - if you are on a deadline, and you need to get your pictures timely to your editor or the publishing house. However, this does not mean that you should settle for less than you expect, as AirBrush still helps you produce flawless, natural-looking images, providing the appearance of pictures taken with cameras in the expensive niche (think Nikon or Canon). Achieve natural look by perfecting the blemish touch, to add radiance and charm to your images. The availability of basic editing tools - crop, stretch, blur, slim and tune – with the medium to add a touch of finesse to your images. Make scrapbooks with a collection of your favorite pictures. 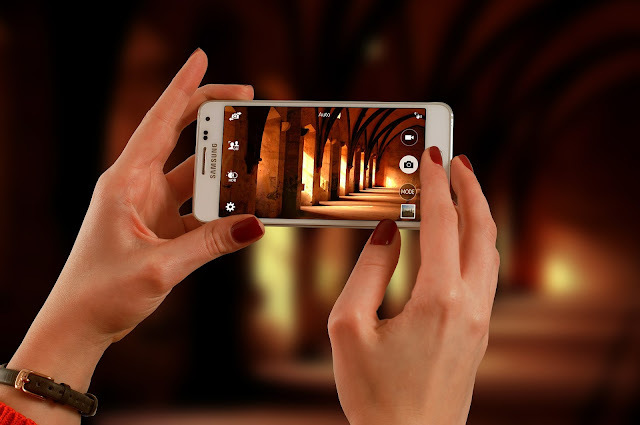 Achieve a pleasing and aesthetic appearance using the Bokeh feature. AirBrush: Easy Photo Editor is available for both iOS and Android. One of the numerous photo editing packages available in the app store from a similar publisher, Adobe Photoshop Express is a photo editing tools offered by software multimedia giant, Adobe. Photoshop Express, though a far cry from the Adobe Photoshop for the desktop PC, Photoshop Express offers you similar features with the convenience of carrying out your photo editing on the go, without having to look for a PC. Image rendering Engine: The ability to improve performance and handle large files i.e. files or images in high definition, like panoramic photos etc. Additional language packages: Filipino, Greek, Hindi, Indonesian, Malay, Romania, Ukrainian, etc. Add custom text or graphical watermark to images. Support for raw files i.e. arw (SONY), cr2 (CANON), crw (CANON), dng, erf (EPSON), dcr (KODAK) nef&nrw (NIKON), orf (OLYMPUS), rw2 (PANASONIC), srw (SAMSUNG) etc. from the latest camera models of most camera manufacturers. Adobe Photoshop Express: Easy Photo Editor is available for both iOS and Android. Photo Editor by BeFunky has outstanding cropping features, remarkable filters, rotating facilities, a wide enviable range of backgrounds to choose from, all these still with the ability to maximize the quality of your pictures. It also helps that the customer service is largely responsive to inquiries and suggestions. The ability to select from a large number of fonts for text inclusion on your images. Resounding red-eye reduction, blemish fixer, flash spot remover, teeth whitener etc. Surprising collection of additional features to add that extra touch to your results. One of the few apps, probably the only one, with no ads to slow down your editing tasks. Range of photo frames to select from. Photo Editor by BeFunky is available for both iOS and Android. The only app on our list that comes requiring a direct purchase, Photo Lab PRO Picture Editor has a great set of features that should warrant its purchase. An impressive range of frames, effects, filter and montages to select from, Photo Lab PRO offers a plethora of tools in which you can modify and improve the appearance of virtually any image. An Internet-based application, if you are planning to delegate some of your storage resources to other functions, Photo Lab PRO frees up some of this space from your device’s memory. An assembly of more than 640 frames, filters and effects to beautify your images. Enhance the final outcome of an image to acquire the desired effect. Achieve features like dreamlike scenery via the use of background effects. Photo Lab PRO is available for both iOS and Android. Toolwiz Photos is another app with a wide and desirable number of features. Made by a group of developers with different impediments who worked 3 years non-stop to roll out the app’s extricate offerings, Toolwiz Photos offers you the flexibility to modify your images to your imagination. Going on a school trip and hoping to get visual reminders of your trip? Organizing tools to write my research paper or figuring out how to start a research paper, and you need the pictures to look just right? Toolwiz’s photo editing capabilities help you take care of each individual or unique objective. Select different tools i.e. Brightness, Temperature, Tint, Toning, Color Balance, Color Transfer, Gradient, Levels etc. to improve image tone. Availability of 30+ HDR enhancement features: Global, Partial, Keep, High Contrast etc. Lots of painting styles to select from Fire, Freeze, Color Lead Painting, Oil Painting, Abstract etc. Toolwiz Photos is both available for iOS and Android. Camera360 by PinGuo Inc. (Available for iOS and Android). Even though you would still need a pc to carry out your most resource-intensive editing tasks, the above apps should come in handy when you want to make a quick edit, and get on with sharing and beautify your social profile.